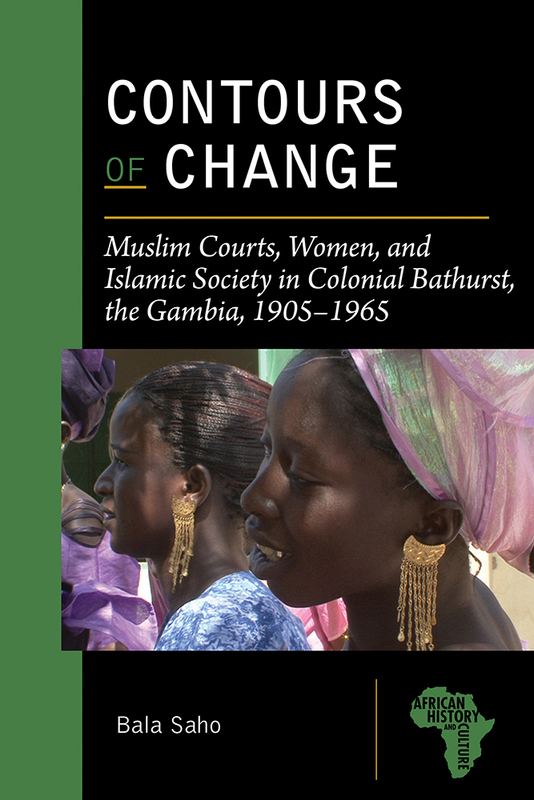 Based on a previously unexamined body of qadi court records as well as two hundred oral interviews in Wolof and Mandinka, Contours of Change: Muslim Courts, Women, and Islamic Society in Colonial Bathurst, the Gambia, 1905–1965, offers a new perspective on the impact of British rule in West Africa. It focuses on the formation of present-day Banjul and the role of law, religion, and gender relations. Specifically, this volume explores how colonization affected the evolution of women’s understanding of the importance of law in securing their rights, and how urban women used the new qadi court system to fight for greater rights in the domestic sphere. The fascinating cases discussed in the text show that male Muslim judges often were sympathetic to women’s claims, and that, as a result, the qadi court created opportunities for women to acquire property rights and negotiate patriarchal relationships. Contours of Change sheds light on African subjectivities and the broader social, economic, and political changes taking place in colonial Gambian society during the first half of the twentieth century. This text breaks new ground in Senegambian history and makes a significant contribution to British colonial studies, African legal studies, Islam in Africa studies, and women’s history studies. BALA SAHO is Assistant Professor of History at the University of Oklahoma. He previously worked in the Gambia as director General of the National Centre for Arts and Culture and director of the Oral History Archive.